Brandeis University invites you to a special event in New York City on October 27th and 28th. Join us at the Jewish Center’s Centennial Celebration that features Shabbat programming and The May and Samuel Rudin Lecture Series. 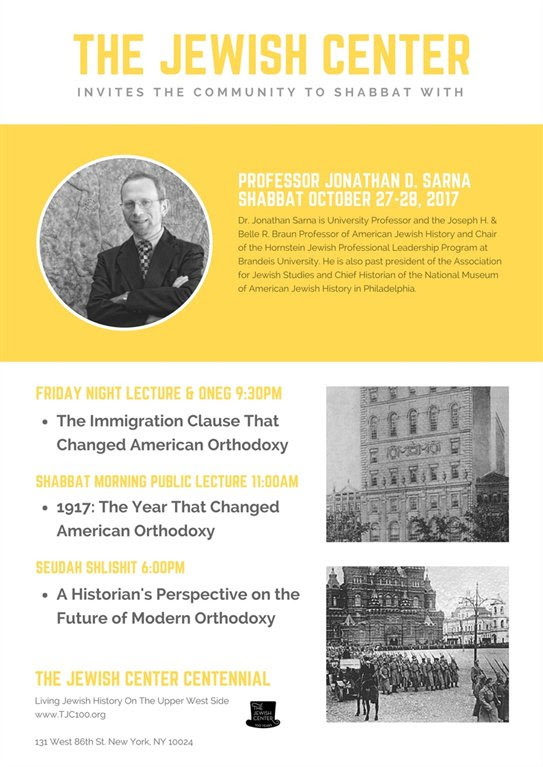 The series’ speaker is Brandeis’ very own Dr. Jonathan Sarna, a professor in Brandeis’ Near Eastern and Judaic Studies department. Further details can be found on the Jewish Center’s website. 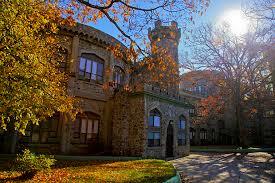 Brandeis University, despite its youth, has become known as a prestigious research institution. In the Carl J. Shapiro Science Center students are immersed into the world of science in the biology and chemistry labs. In the same building, and spanning 3 floors of research labs, researchers sharpen their minds and curiosity on the cutting-edge questions of the day. Today’s question concerns active matter. Active matter is a relatively new field of study which has only attracted serious attention in the past 20 years. The term “active matter” refers to groups of individuals that act independently, but whose respective movements collectively cause much bigger motions. Examples of active matter most people are probably familiar with are large flocks of birds that seem to create a swarm-like cloud or a large school of fish. But these independent actors could be much simpler such as individual cells, molecules or, in the case studied at Brandeis, specific cell structures. While the concept of active matter may sound like something the general public has no reason to care about, the potential applications with real world consequences could significantly improve the way we live. In 2008 Brandeis became one of seventeen major research universities to take part in an initiative by the National Science Foundation to develop new machines and materials. The university was granted $20 million for 12 years of research and labeled as a Material Research Science and Engineering Center. These institutions focus on studying active matter with Brandeis’s team consisting of 16 scientists from physics, biology and mathematical backgrounds. The minds leading the charge in the Brandeis labs are Seth Fraden PhD ’87, Zvonimir Dogic ’95, PhD ’01, Tim Sanchez PhD ’12, and Aparna Baskaran. 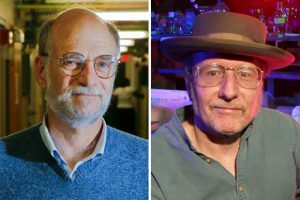 Fraden, a Brandeis physics professor, and Dogic, a Brandeis associate physics professor, run the lab and have emerged at the head active matter exploration effort. 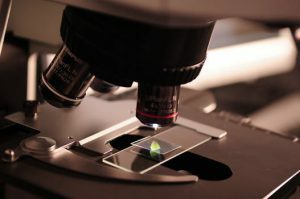 They have a history of collaborating on soft matter – matter that is between a liquid and a solid, such as gels — research where they use innovative methods to combine biological material with inanimate matter. While some scientists may study active matter on large scales, Fraden and Dogic study it on the cellular level. More precisely, on the cell’s structural level. They have been examining microtubules, tiny hollow tubes that provide a cell’s structural integrity, from cow neurons. Microtubules also aid the delivery system within the cell by allowing kinesin, a protein that delivers nutrients and genetic material, to “walk” around the cell powered by adenosine triphosphate (ATP). These microtubules expand and contract individually, but when the movements are taken collectively they allow the cell to stretch, shrink and change shape in response to its environment. Sanchez, while working as a postdoc fellow under Dogic, discovered that by adding a polyethylene glycol to the microtubule-kinesin-ATP mix the microtubules bunched together and began moving like cilia. Motile cilia are the hair-like structures on the outside of some cells that whip back and forth. In nature, cilia are made from hundreds of proteins and move much more rapidly than the ones Dogic’s team created. While these faux-cilia are no replacement for naturally occurring cilia, they could eventually be used in new medication delivery systems among other potential applications. The discovery of the faux-cilia led to further experimentation with the microtubules regarding how they interacted with their environment. In collaboration with postdoc Kan-ta Wu, a Brandeis physics lecturer, the team discovered not only that a certain shaped container cause the microtubule concoction to move by itself, but when placed on a flat surface it would flow by itself as well. Self-flowing liquid is fascinating for several reasons. It is something straight from science-fiction, reminiscent of 1958’s the Blob, and has potential for multiple applications such as a replacement or supplement to scenarios where a pump is limiting. One example is moving oil across large areas. Aparna Baskaran, a physics associate professor at Brandeis, bridges the gap between the lab and real world application. She takes on the task of figuring out the math within Dogic’s team’s trial-and-error approach by trying to create mathematical models predicting the matter’s movement. Without her work the uses of a self-moving liquid can’t be fully realized until we are sure it won’t take on Blob-like tendencies. Developing models to predict active matter movements are made especially difficult by the number of individual actors and that there is no distinctive leader, as seen in the case with birds called Starlings. If Baskaran and other active matter scientists are successful, we could be entering an era of self-moving, self-repairing material in both the commercial and medical industries. Imagine a world where 3D printed transplant organs, a technology actually in development, could repair and maintain themselves. The science happening in Brandeis labs is absolutely ground breaking, but likely would not be possible without the minds and resources Brandeis provides. Among the schools involved with the National Science Foundation and active matter research, Brandeis is especially well suited to this research due to the interdisciplinary requirements. The university values academic diversity and encourages interdisciplinary study and cooperation. Without scientists from such diverse fields and knowledge, and the top-notch resources provided by university, this research would be incomplete and our world would be worse off for it. 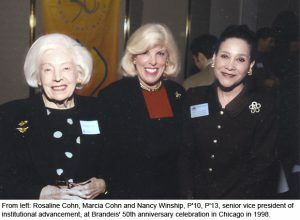 Since 1948 Brandeis National Committee has supported the Brandeis sciences in addition to the libraries and student scholarships. Brandeis strives to provide the proper support and resources necessary for bright minds to thrive. Join us in the world’s largest friends-of-a-library network to help ensure Brandeis remains an institution of inspiration for scientists, scholars, future leaders, and artists. If you have any questions or want to join us for an open event, email us at brandeisgotham@gmail.com! Become a member today! Access fabulous events, amazing exclusive programming, and meet future friens. Join here! 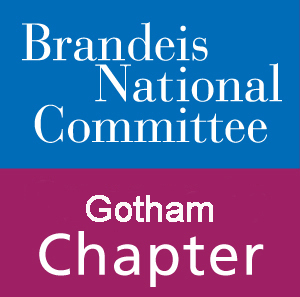 © 2013 All Rights Reserved, Gotham Chapter of the Brandeis National Committee.